Snow, hail, rain and sunshine, all in the span of one day. 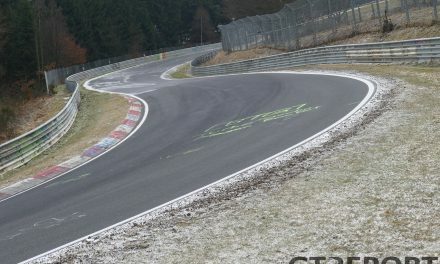 It’s the Nürburgring at its most daunting. For some these circumstances are their downfall, for others it’s where they rise above. 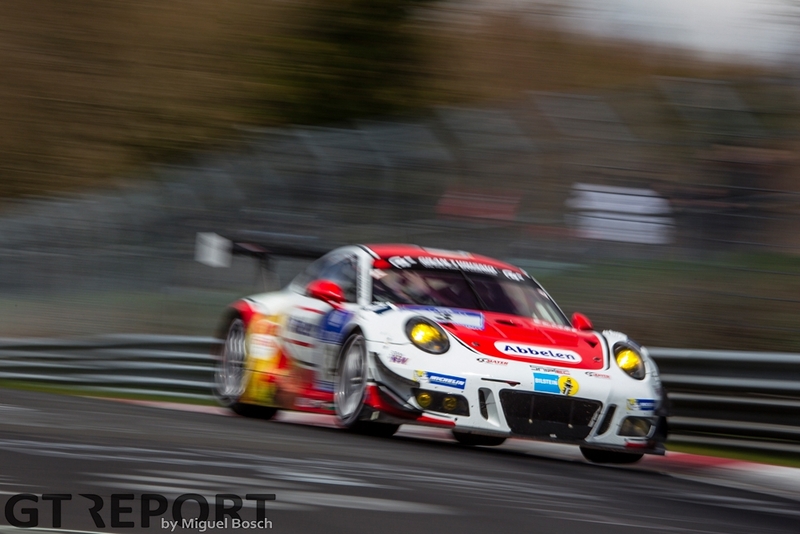 The weather, like so often, took centre stage during the ADAC Qualifying Race 24h Nürburgring where it was definitive in the outcome of the six hour long race. 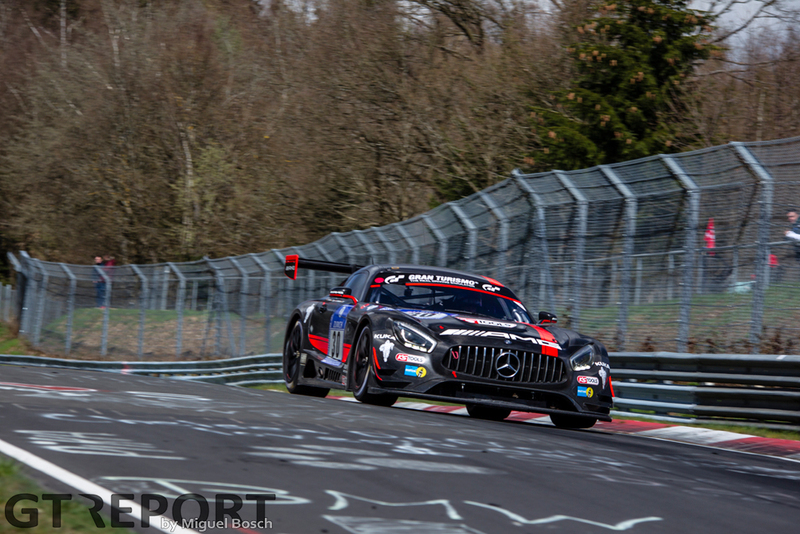 The qualifying race has never been a very popular event in the run-up to the 24 Hours of the Nürburgring. 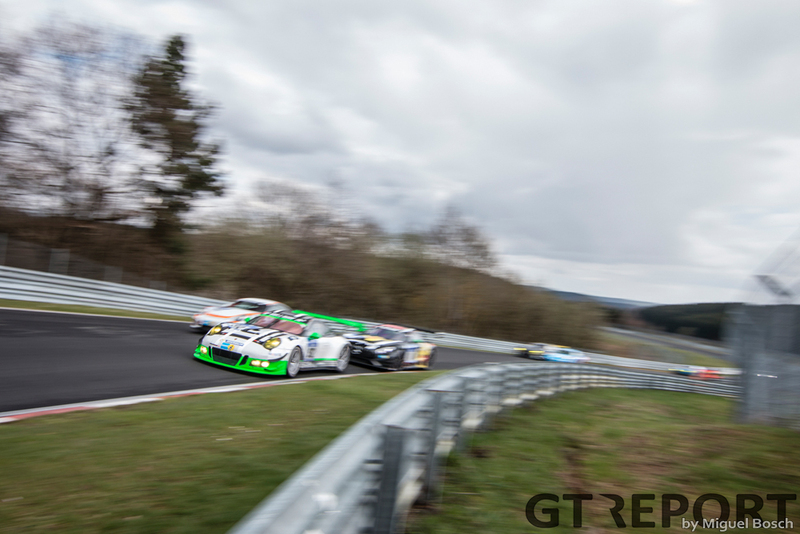 Since its introduction in 2014 the race still hasn’t risen to the level of interest that the various VLN races before the 24 Hours enjoy. 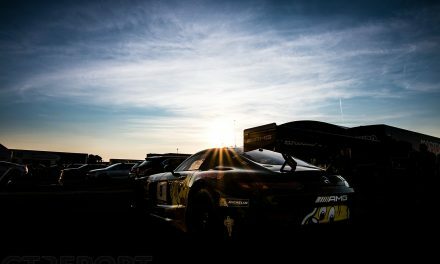 Despite the lack of a huge field, a fair amount of teams would show up on Friday to take part in the race, looking to secure a spot in the Top 30-shootout that’ll be held on the evening before the 24 Hours of the Nürburgring, and most importantly, preparing for May’s twice round the clock. 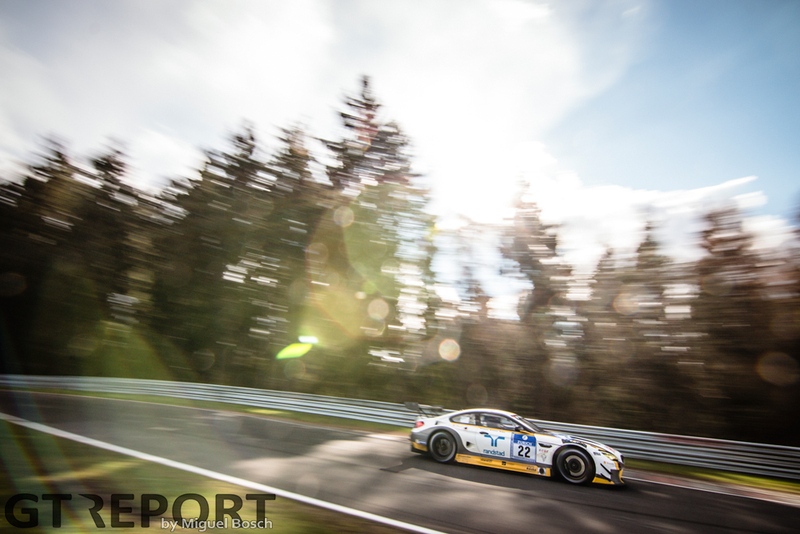 Two weeks ago, during the first VLN race of the season, BMW seemed to be in trouble. 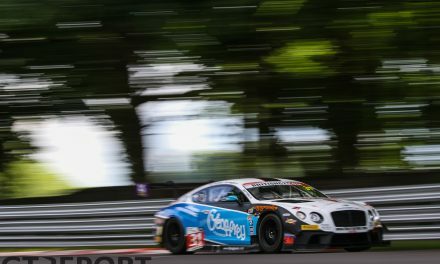 Poor race results by its factory-backed teams and even being beaten by customer team Walkenhorst Motorsport suggested that the Bayerische Motoren Werke had their work cut out for them. 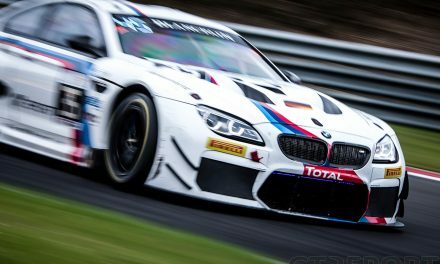 Whether the manufacturer was just sandbagging or there really was a problem, on Saturday morning Rowe Racing removes all doubt about BMW’s speed and places its BMW M6 GT3 firmly on pole position. Haribo Racing, one of the many AMG-supported squads, settles for second place. The team from Bonn lets the seasoned Uwe Alzen take the wheel for the first stint. 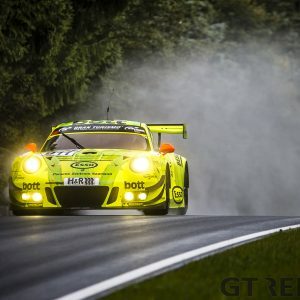 At 48 years of age the German might be one of the oldest drivers in the GT3 class, he’s still got the grit from when he first dashed onto the German racing scene. This mentality comes in useful when Alzen is spun around at the start. Never one to back down from a challenge, Alzen starts the pursuit at the end of the field. Just a few laps into the race the leading Rowe Racing BMW M6 GT3 of Maxime Martin makes its way into the pits, followed by the number 1 WRT Audi R8 LMS GT3 with Pierre Kaffer behind the wheel. These aren’t regular stops: the drivers come in for rain tyres as a hailstorm has hit the track on the north side. Others struggle on in the treacherous conditions. Amongst these daredevils is Alzen, making his way back to the front after the spin at the start. When the hail clears he already finds himself at the tail-end of the lead group. With a gap of nearly a minute to Haribo Racing the winning HTP AMG crosses the finish line. 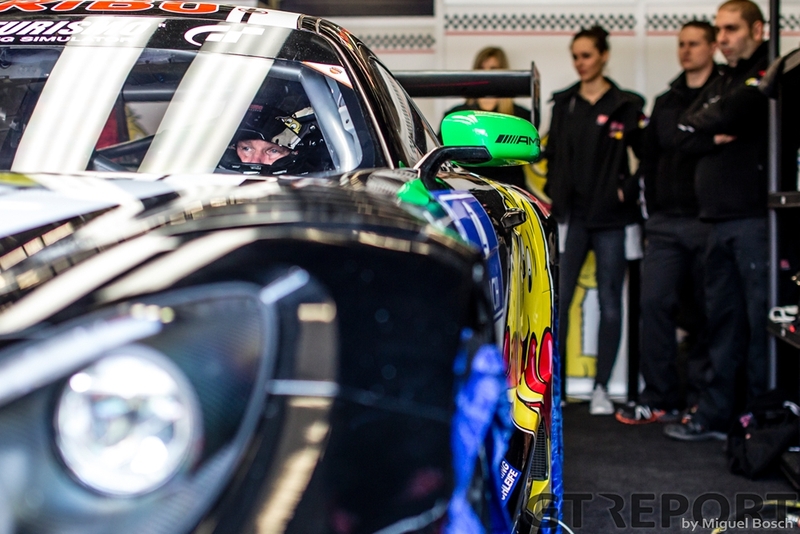 Behind the two works AMGs finishes the Manthey Porsche 991 GT3R. 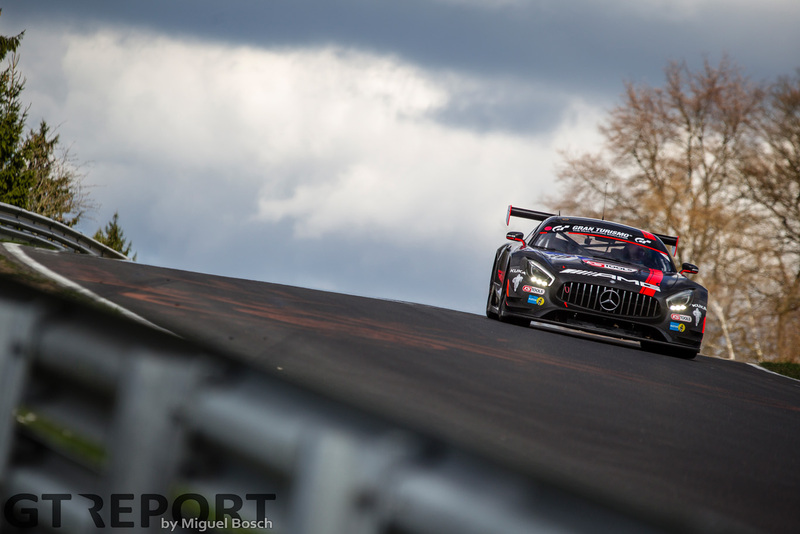 Kévin Estre and Michael Ammermüller, however, are penalized for an infringement in a Code 60 Zone, relegating the brand-new GT3 to fourth place. Rowe Racing recovers well from their obsolete pit stop for rain tyres, taking the last step on the podium. Black Falcon’s number 9 AMG would never see the finish of the race. With half an hour to go, Nico Bastian has a heavy impact with the tyre barrier at the Hohenrain chicane. Due to a for now unknown cause, the AMG works driver couldn’t stop the car, steered right into the guardrail to scrub some speed off, and hit the tyres at the left-hand side, flipping his car and climbing out shaken but not seriously injured. Every race in the run-up to the 24 Hours is considered a rehearsal. But drivers being drivers, they’ll want to win. That didn’t happen today for Haribo Racing, but important lessons were learned nonetheless. 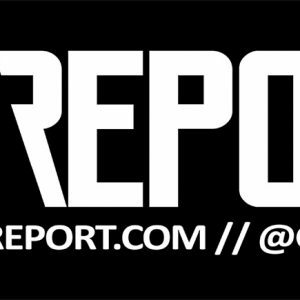 “In every race that you start, you‘ll try to win,” Seyffarth admits. 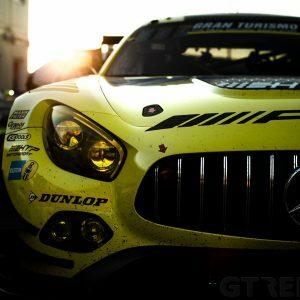 “Of course, all of the races before the 24 Hour race are preparation races: you test set-ups, car settings… It’s a preparation for the team, with the pit stops, the strategy, you test everything.